If you want to get to Italy from another European country, there are several options you can choose from, excluding flights. Italy has a broad and well developed railway network so in case you consider a train ride, European high-speed trains are simply the best option that connects Italy with such countries as France, Austria, Germany, and Switzerland. Generally, the main cross-border train that operates on such routes as Milan - Zurich or Rome - Munich is EuroCity. 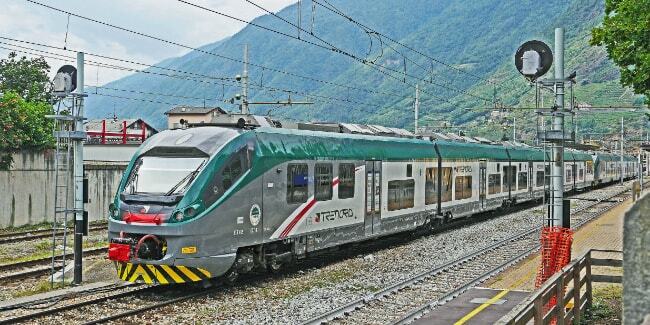 However, if you want to travel from France to Italy, you can choose a famous European train operator Thello. Comfortable travel by train within the country is conducted by high-speed Italo Treno; or the Frecciarossa trains, which connect more than 10 major Italian cities like Rome, Milan, Naples, Turin and so on. Another option to travel to Italy from abroad is to hop on an international bus. The majority of buses heading to Italian cities are modern and equipped with all necessary amenities like air-conditioning, plugs and free WiFi. Yet this travel option a priori means longer travel times than when compared to trains plus the risk of getting stuck in traffic. As for the internal bus connections, the Italian bus system is quite developed but not very popular. All bus companies in Italy are private. It’s a usual thing when one company operates in one region, so finding the required bus route within the same region is quite easy and inexpensive. However, it must be taken into account when traveling through the whole country - as each region has its own bus schedule which it may not coordinate with the other ones.